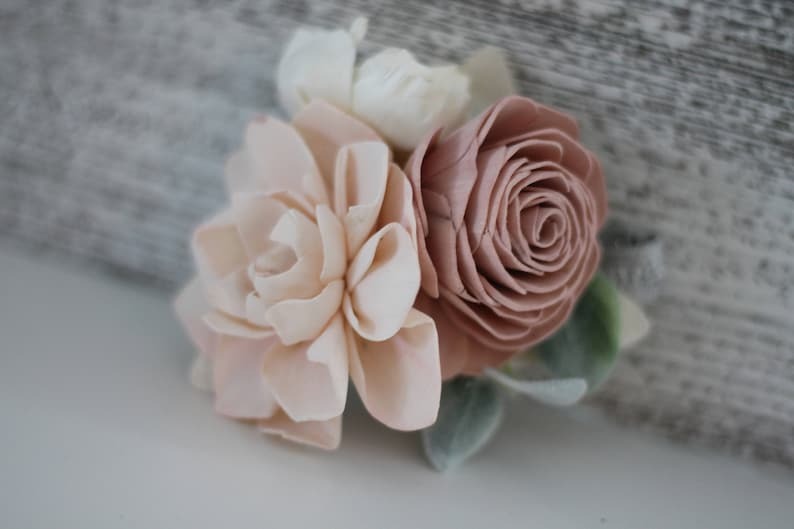 This wrist corsage from our Shabby Chic Collection is made of soft delicate pieces which will do much more than help you make a huge statement on your wedding day. 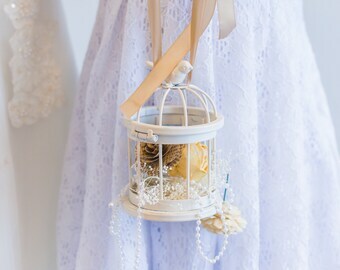 It is the perfect option for keeps years after the wedding. Each piece is made with careful attention to detail to ensure it matches precisely with your wedding theme and colors. 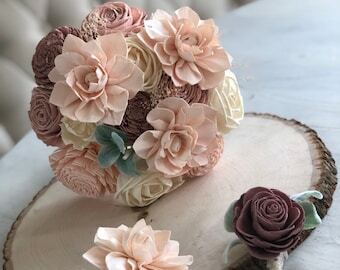 This natural wooden flower corsage has been handmade and hand-dyed to showcase a beautiful arrangement of blush, dusty rose and pink cameo colored flowers. Made from assorted hand-dyed delicate Sola Wood flowers, artificial lambs ear on ivory canvas leaves and a silver accented wristlet (other options available). 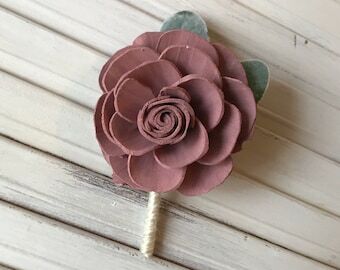 This beautiful corsage measures approximately 4" from the petal to petal. Flower sizes range from 1"-3". Custom flower style is available upon request. Need your order quicker? We have a rush option available for corsages at the link below. Each item in your order will need this option added for rush processing. This rush option will process your order in 3-5 business days and send them on their way. NOTE: Shipping time may vary, so we recommend selecting Priority EXPRESS Shipping with this option during checkout for quicker shipping times. Please message Pine and Petal Weddings if you have questions regarding this corsage. We welcome any creative ideas you would like to see come to life! Surprised all the mothers with these and they loved them! Absolutely stunning piece, I love it and couldn’t be happier! I ordered for my daughter for a Father-Daughter dance, and it is absolutely perfect! She loves it as well and can’t wait to wear it. This will be a piece she can keep and maybe one day wear or add to something for her own wedding! It is just perfect and the seller is amazing with communication and kindness, and the shipping was very fast as well! !Thank you so much!